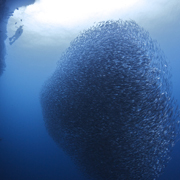 Some of you may have already heard about the huge sardine bait ball in Moalboal. Sardines are known as migratory fish, following currents and food around the oceans on what is usually a predictable path. 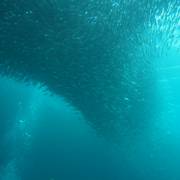 However, for the past 4 years a huge shoal of at least a million sardines has made its home in Moalboal. It’s been long known that the waters of the Philippines contain a huge amount of these small fish that make up a large proportion of the food consumption for both sea animals and humans alike. Many of these shoals migrate through the Tanon Strait between the islands of Cebu and Negros. For some unknown reason, approximately 4 years ago, the number of sardines massively increased and some of the schools decided to take up residency on many of the neighboring coral reefs. Pescador Island situated in the middle of the Tanon Strait was one such place. 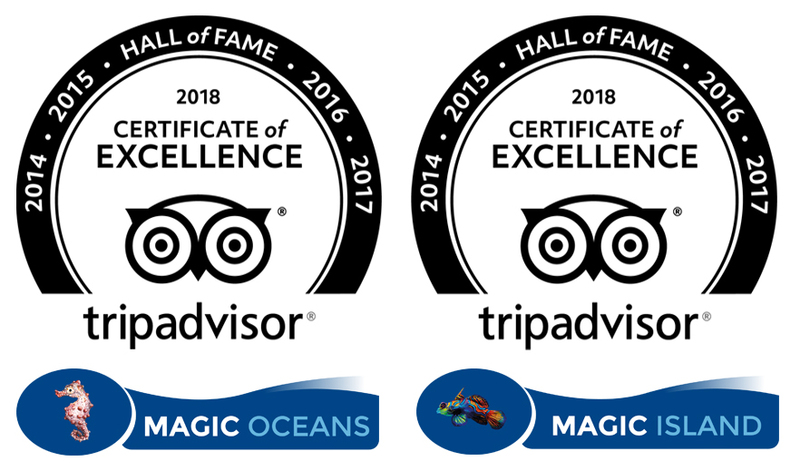 Already a very popular dive site for the dive centers of Moalboal the sardines were a welcomed addition to the area, attracting many more divers and snorkelers to visit. Of course; it’s not just people who are attracted by such an occurrence, predators also welcomed the new food source and it soon became a spectacle to watch the sardines dance around as jacks and tunas darted in for a tasty mouthful. Every now and again the smaller predators would disappear, and a much bigger shadow would loom in from the depths in the shape of a Thresher Shark, with one big whip of its tale the sardines would be stunned, and the shark would eat at its leisure. The sardines stayed at Pescador Island for a little over 2 years, when one day they disappeared, lots of assumptions where made, but no one really knows why they decided to move on. 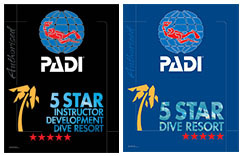 Then after about a year they turned up right on the coast of Moalboal where most of the dive centers are situated. It’s been over 4 years since they arrived at their new place of residence and they have shown no sign of diminishing with an estimated population of over a million fish in the one shoal. The predators still arrive to fill their bellies and divers to see all the action. Who knows how long it will be until they decide to move on again, so if you want to witness this amazing spectacle of nature best to get here soon.